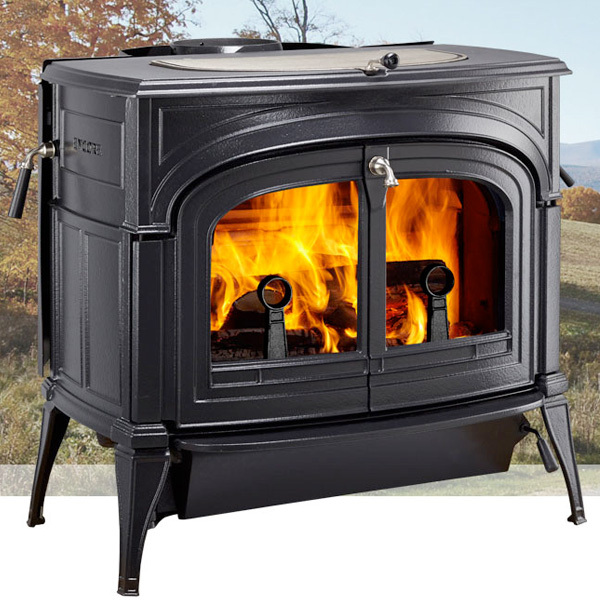 The Encore FlexBurn provides more than heat: it’s a skillfully crafted, timeless piece of furniture. Great design bridges beauty and utility, and a finely-fashioned exterior with classic curves and smooth cast iron finish complements features made with care. Function is an art of its own, and our dedication to the wood stove experience results in components designed with convenience in mind. Easily load wood from the top, saving effort and keeping smoke and ash contained. Cleanly remove ashes, even when the stove is hot, with the exclusive swing-out ash pan and handled cover.